Half of the time I spend working on this car is getting it up in the air positioned right. 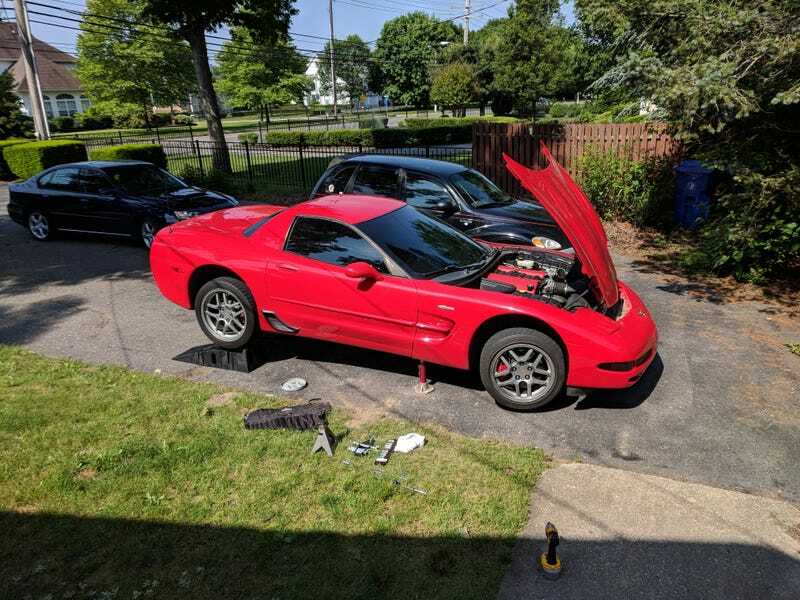 Subaru is currently down with a bad injector so I changed the trans/diff/engine oil, rear end links, and got the harmonic balancer done on the Corvette. Also fixed my damn squeaking steering wheel! Ordered Nitto Nt05 rubber and will probably be doing plugs and wires soon to round off the tune-up. A lot of work but I’m just glad it’s nice enough out to work on the cars and get a swim in afterwards.